A lone female mallard (Anas Platyrhynchos) searches for food in the peaceful waters of Cascadilla Falls in Ithaca, New York near Cornell University's campus. 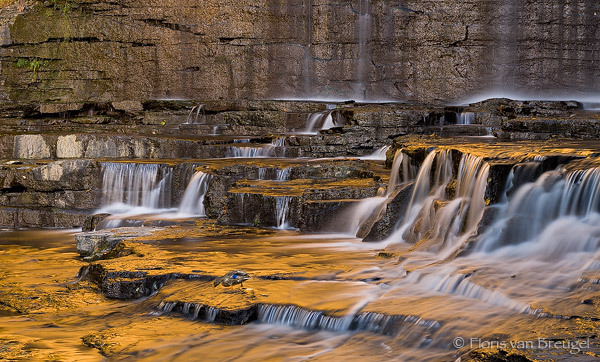 The setting sun lit up the walls of the gorge, providing an incredible golden glow in the reflections beneath the waterfall. This is but one of the many gorgeous gorges in the fingerlakes region in upstate new york.